Less a Trip this time; more a window into my shopping compulsion – these stores are the reason why my bank balance largely resembles a bath full of water with a leaky plug. The gentrification of the capital’s Zone 1 has pushed the momentum of record retailing further into the suburbs and, being a Greenwich resident, these booming south-east London stores are all within easy striking distance. Their owners tell me that more central dealers are making trips to them to top up stock, as a way of keeping their own units alive, with turnover under pressure from limited parking. Not a problem here, but traffic can be terrible. Across the years I’ve been buying, I’ve concluded you find a bit of everything in almost every corner of the country, but soul, R&B and dance discs are in abundance in my part of the world. Yet it’s far from the whole story, and there really is something for everyone. Transport-wise, the further out you are, the more limited the train routes. There’s no Tube to speak of in this part of the city and, while plentiful, the buses can be a bit daunting for anyone not up to speed on the distinction between Gypsy or Shooters Hills. So driving is your best bet for this circuit, with most stores close to free or more modestly priced parking than a trip to the West End (Greenwich town centre aside, where parking can be very expensive). I avoided the crush of a Saturday for a change and picked a Friday, where I found business was still very brisk. The traffic challenged my itinerary and, in truth, there’s enough here to keep you busy across a couple of days if you choose to dig deeply. If there is a magic formula to balance volume of stock with meticulous filing, this store hits that sweet spot. Boxes of beautifully curated singles make sourcing something specific so simple. For example, my eyes are drawn quickly to a couple of crates of TV-related 7″ singles and… what a revelation! It’s a genre I’m particularly fond of, but there are records in here I never knew existed. Among my finds are actress Pauline Collins’ bawdy music-hall rendition of the Upstairs, Downstairs score, billed What Are We Going To Do With Uncle Arthur? released on Decca in 1973 and featured in the series; Ron Grainer’s haunting Tales Of The Unexpected theme and the tune that signaled the start of my teenage BBC soap addiction – Angels. Prices are very fair for my haul (and I get a discount). In truth, there’s enough vinyl here to keep you busy all day, but Steve and Kim Willis, who have run the shop for 14 years, stress part of the key to Rollin’s success is to keep things moving super-fast. In the 12 years that Adriaan Neervoort has been running Wanted Music from its current home in Beckenham, he agrees with his nearby neighbours at Rollin that the supply of new stock is crucial, as interest in the sector has picked up. 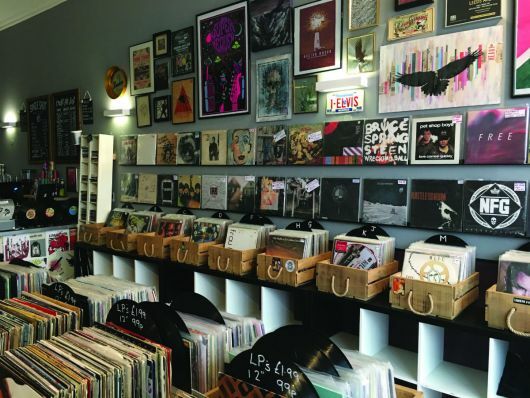 A record-store veteran – he used to run the legendary Beanos in Croydon – Adriaan chose this location because it afforded him the space to offer customers the stuff they might not even realise they wanted. “Be it exotica, Smurf vocal releases or railway records – I try to carry it all,” he tells me. “Recently, I took a collection of LaserDiscs and I know they won’t shift quickly, but that’s the joy of it! One day, a customer will come in, see them and they’ll be gone.” Adriaan believes vinyl buyers like not knowing what they want. “Online is a great research tool, but nothing beats the art of discovery,” he says. “It’s called retail therapy for a reason!” Alongside a copy of The Adventures’ 1990 LP Trading Secrets With The Moon and a very fine copy of the West Germany-issued 12″ maxi of The Winner Takes It All by ABBA, I embrace that moment of discovery Adriaan talks about. Also, I didn’t know Sony commissioned a 1997 Todd Terry remix of Everything She Wants by Wham!. This 12″ leaves me as excited as if I’d unearthed the Cheapside Hoard. And perhaps I have… certainly the remix treatment is a winner. There’s plenty more to rifle through, including choice collectables and dance and R&B covering releases right up to today. This respected punk, rock and alternative specialist is perched on the edge of Beckenham and carries a decent amount of vinyl, including releases from Record Store Day. Opening hours can be patchy, but you’re generally in luck on a Saturday. In truth, there’s little here that’s my bag, but if this is your kind of stuff, keep an eye on Raven’s social-media platforms, as there are occasional PAs here and a good merchandise range – if a T-shirt featuring The Damned is the sort of sartorial statement you want to make. The centrepiece of this two-year-old store on Streatham High Road is an old Crystal Palace FC turnstyle – testament to owner Chris Winter’s other great love. 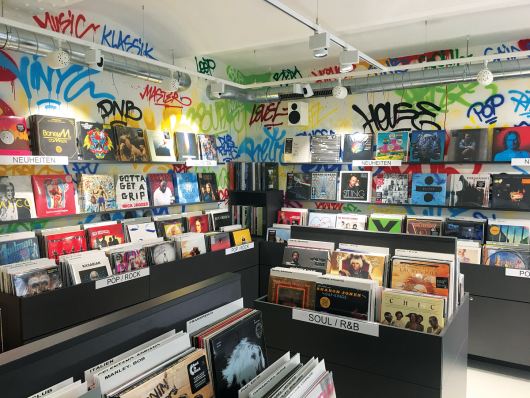 It’s a physical reminder that passion has to underpin anything worth doing in life, and his affection for vinyl is certainly why this shop is already so highly rated. With a reputation for jazz – Turnstyle is one of the capital’s best – I find a much wider selection than expected, along with some nicely presented merchandise and gorgeous repro record players. Now branching out to host in-store gigs (Morgan Heritage were due in-store the following week) and helping curate festivals, it’s a store with quite a following, as a check on its social media later testifies. Stock is balanced evenly between new and used, and I pick out a nice pressing of the Record Mirror Private Pleasures compilation from 1978. Record Mirror was my bible back in the day, and my music appetite was never quite sated after it folded in 1991. All these shops are comfortably outside the central Congestion Charge zone, but you will find driving across the area tricky during peak traffic times. A trip from Welling, where you’ll find Cruisin, to Streatham’s Turnstyle Records will take you over an hour, so plan your route carefully. 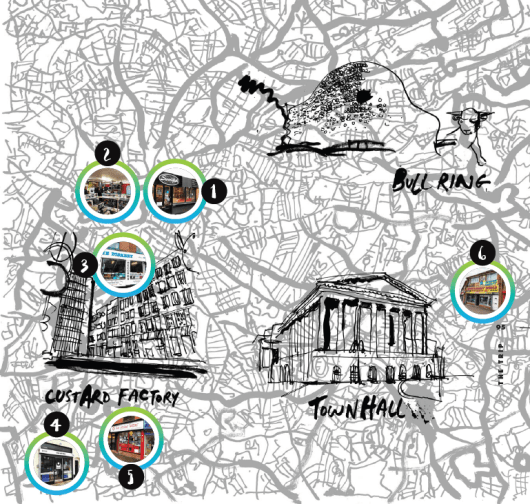 A number of the stores are situated slightly outside interesting retail hubs, although the two Greenwich stores are very close to the attractions, the famous market (where you’ll also find a handful of stalls selling vinyl) and an abundance of places to eat or grab a drink. If you are buying a Travelcard to brave the public transport, the Zones 1 to 6 option will cover the areas you need to get to (although West Wickham is your most distant spot and situated in Zone 5). Getting an Oyster Card (for a £5 non-refundable fee) might work out cheaper, as you pay onlyfor the journeys you make. Cash remains king in the majority of the stores, although Rollin was just about to install a new device at the time of writing. Everyone I spoke to buys records but, as ever, most are picky about what they’ll take. Music & Video Exchange has a famous policy of buying anything legal, but that won’t mean your retirement fund will likely be generated from a fair-to-middling copy of No Jacket Required. Michael Johnson has transformed this neglected old pub into a community beacon that plays host to open-deck nights and gigs, and is the home of an online radio station alongside a daytime store. It’s a remarkable regeneration for a beautiful building that the central racks of records, neatly showcased on portable stands, help to support. Michael is a former collector and when – as happens to us all – the space started to run out, he began to think about how to turn his hobby into a full-time occupation. When he found the 140-year-old pub, which closed its doors in 2007, its reputation was poor and the site soon became abandoned and uninhabitable. Now respectfully restored, the building is maintained by his business model, that’s balanced between selling vinyl and books and the programming, which he admits makes a big contribution to the month’s takings. Michael says he’s mindful not to overstock, so everything here is carefully curated and there’s a decent range of new releases and reissues alongside the second-hand discs. There’s not a lot of obvious commercial material, but the rare and interesting make this a rewarding trawl. This man is also clearly a Timelord, as The Book & Record Bar has a TARDIS-like knack of surprising you with just one more intriguing shelf you can’t imagine how there’s space for. I pick up a couple of early-90s Prince albums at a very keen price and the second Buggles set, Adventures In Modern Recording. The drift towards a more boutique style of record hunting has left many a crate digger bemoaning the slick, sterile new order of shopping. Well, Collection is going to be right up their street. Here, there’s a bewildering disinterest in labelling and a stack of Big Country duplicates leads you straight into Jamelia 12″ promos and then back to Olivia Newton-John’s debut LP. A voyage of discovery, for sure, but somehow kind of thrilling – and there’s rather a lot to wade through, including some rarities. Most of the displays look as if they were conceived when the Backstreet Boys topped our charts; but maybe you want it that way, and don’t assume that the dust is a signal of disinterest – there’s plenty of help on hand if you ask for it. Prices are fair and I find a particularly interesting soundtracks section. Rupert Everett’s 1987 film Chronicle Of A Death Foretold is staggeringly still unissued on DVD, and I no longer have a player to run my prized VHS. The mint soundtrack I source here is a very welcome part-reconciliation and, as the reviews will testify, the Piero Piccioni score was about the only thing the critics got excited about. They perhaps didn’t appreciate Rupert in the same way I did back in the day. Running for more than 30 years, this Welling independent is another store that embraces Record Store Day in a big way. The vinyl is towards the back of the shop, so don’t be put off by the CDs and DVDs that dominate its entrance. The counter provides my favourite two finds of the entire Trip – the recent RSD editions of a 7″ picture disc issue of Prince’s Little Red Corvette and 1999 and the score for Quatermass And The Pit. Further out back, you’ll find a lot of second-hand and new vinyl, with a bias towards dance and soul, but a lot more besides. Prices are very keen and there are some good bargains to be had here. I collect Stock Aitken Waterman in a big way and pick up the Funky Sisters Remix of Princess’s Say I’m Your Number One for £1. Why I’ve never bothered to buy this online is unclear, but isn’t that the eternal dilemma for collectors? The simple short-cut that sterilises the whole experience or the thrill of the chase? I hope we’re all still firmly enslaved to the second camp, but I know we’re all pretty likely to have strayed onto the dark side on occasions. The key is not to make a habit of it! This highly respected London gem has recently expanded to take over the vintage clothing store that it shared the tenancy with and now, finally, there’s room to see everything. 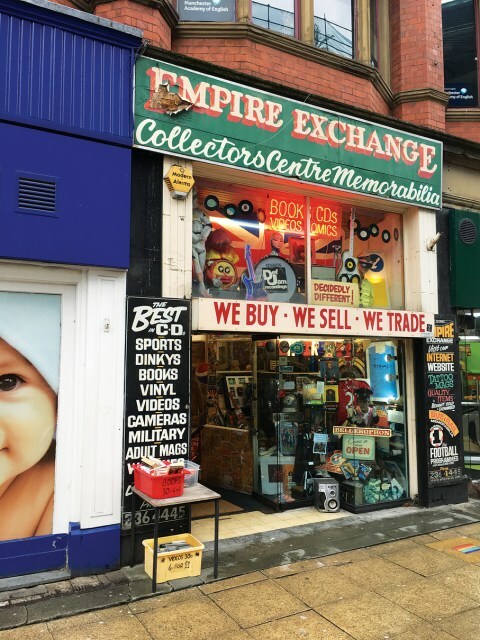 The piles of vinyl that had been stacked on the floor are berthed in new racks and the wider range of memorabilia – including an impressive stock of 1970s music weeklies – looks stunning. New vinyl jostles with a decent range of the old stuff, and prices are reasonable. This lovely shop, which started life as a stall in the nearby market, also takes Record Store Day very seriously and, this year, the queues started scarily early with the line forming the night before for the first time. I’m often among them but, this year, a family get-together meant I missed the whole thing. Lucky for me, like elsewhere, there was a decent haul still on sale a few days later and I picked up a vinyl reissue of the Doctor Who And The Pescatons LP packaged with the Sound Effects album for a fraction of what I would have paid to secure it online. I’m heartened to see so much stock still on sale a couple of weeks after the RSD event, yet all retailers were telling me attendances in 2017 were better than ever. It bodes well for this sometimes-maligned initiative. This eastern outpost of the London retail legend is, to my mind, among the capital’s best. Across two floors, it carries a staggering range of second-hand records with most genres getting a respectable showing. So many of my treasured finds have been unearthed here – mint copies of early Now That’s What I Call Music! compilations, rare Kylie remixes and more picture discs than I could ever hope to have wall space for. With the Soho store still shut – although due to reopen in 2017, I’m told – stock is moved between the site here and the branches in Notting Hill, meaning there’s a high turnover and I’m rarely disappointed on my frequent visits. The basement is where you’ll bag a bargain, while the ground floor carries the more collectable stock. One interesting find on this trip is a three-LP set of the late DJ Casey Kasem’s syndicated radio show of the American Top 40. Included in this near-mint copy from 1985 are the typed and photocopied sheets of commentary. How this ended up in Greenwich in 2017 is worthy of a feature in its own right. How did anyone escape punishment for dressing up kids as Mini-Pops as well as releasing a Rocket To The Stars album? The shrill treatment of Shattered Dreams is eyewatering (but you’re right; I did have to buy it to find that out). Public transport is of course abundant in London, but lines typically radiate outwards from the centre of the city and heading round on an orbital route can be tough going. 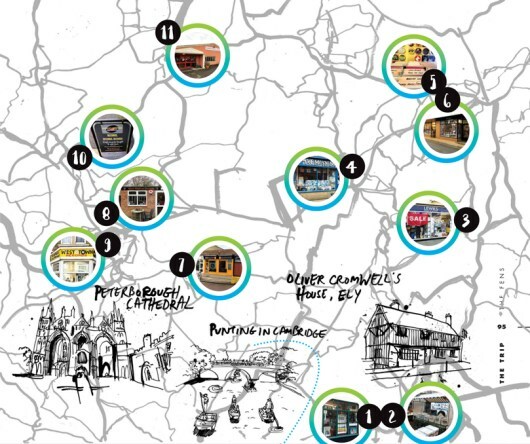 The bus network will link you up eventually, but requires careful planning. The Greenwich shops are almost opposite the DLR station, but pretty much everything else is some distance away from a public transport hub. Getting round by car is by far the easiest option, but you’ll need to allow a full day to cover these stores in anywhere near the depth they merit. In truth, it might be best to pick two or three and stagger your visits. The name is not, in truth, a fair description of what you’ll find, but this small shop, tucked away at the boundary of the Royal Borough of Greenwich, is handily just a stone’s throw from New Eltham train station. Crates of records are stacked up out front, and you’ll find plenty more inside. While there is a lot of classical stuff here – on CD and vinyl – there’s a wider, faster-moving turnover of other stuff and this time I pick up a Vikki Carr LP in fabulous nick and a set of boyband A1’s 12″s from the first couple of years of this century. It’s indicative of the eclectic range that I find here on my regular visits. The store moved from its former home in nearby Eltham a few years back and still attracts a gang of regulars, who can often be spotted having a cup of tea on some battered old chairs dotted about the single-storey unit. It’s that sort of heartening sight that speaks volumes about this crazy, sometimes rather solitary, addiction to crate digging we’re all trapped in.